Strela Promotion MMA has been launched in 2016. 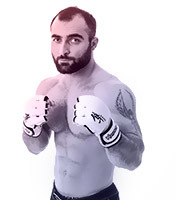 The list of the fighters, whose professional career is promoted by Strela Promotion, includes the following athletes: Alexander Volkov (UFC TOP 10 heavyweight), Mikhail Zayats (winner of Bellator Grand Prix), Giga Kukhalashvili (M1 Global league), Vladimir Kanunnikov (M1 Global league), Sharaf Davlatmurodov (ACB league), Eduard Vartanyan (ACB league), Mikhail Kolobegov (ACB league), Sergey Khandozhko (ACB league) and others. We conduct training camps with the best world teams in USA, Brazil and Europe. 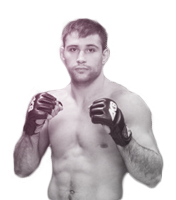 Our aim is to prepare champions and promote their career in best MMA leagues. Today, 24 October Aleksandr Volkov, our team athlete, has his birthday! We congratulate and wish you health, victories and vivid fights! TEAM STRELA — 1-team place! We congratulate athletes and coaches! Announcement! Big summer camp in grappling and Brazilian jiu-jitsu in the Altai Mountains 2016! Training camps in grappling and Brazilian jiu-jitsu. Time: October 31st - November 8th. November 14th, "Global Fight Gym", topic "Choking"
November 22, "Wild Athletik", topic "Back mount"
Aleksey Efremov won in the second round by TKO. 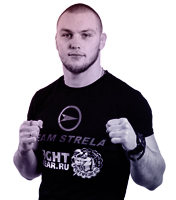 Masterclass by Alexander Volkov from "TEAM STRELA"
A new fight is coming! 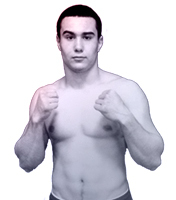 Alexandr Volokov won in the third round by submission. We invite everyone to cheer! Maxim Katkov won the tournament KUMITE FIGHT. 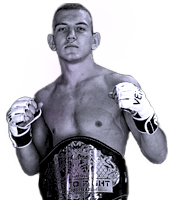 via TKO (Punches) – Round 1, 1:53. One of the main card bouts will pit Maxim Katkov, the real Russian warrior (Team Strela), against the Afghan fighter Baz Mohammad Mubariz. Alexander Volkov will fight his first bout to defend his M-1 Challenge heavyweight champion title in St Petersburg on June 16. 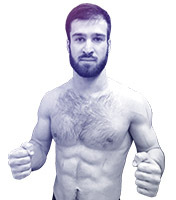 Attila Vegh (Slovakia) will be his rival in this duel. The weigh-in ceremony was held yesterday on the eve of the M-1 Challenge 68 tournament. 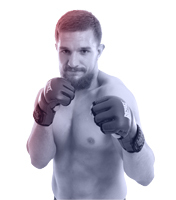 Alexander Volkov will fight an M-1 Challenge champion title bout against Attila Vegh (MMA Spirit). Alexander Drago Volkov, the TEAM STRELA fighter, fought successfully his first bout last night in St Petersburg to defend his title of the M-1 heavyweight champion at the M-1 Challenge 68 show. STRELA PROMOTION and BLACK HOUSE MMA ANNOUNCE A PARTNERSHIP. Sherdog. Opinion: "there’s actually some light at the end of the tunnel in the rapidly-aging division, as Derrick ''The Black Beast'' Lewis, Francis N'Gannou, and former Bellator MMA champion Alex Volkov "
ACB 55: Sharaf Davlatmurodov “Wolfhound” (Strela Team) vs. Mukhamed Berkhamov, Sergey Khandozhko “Honda” (Strela Team) vs Stanislav Vlasenko. Have our fingers crossed on March 24! We are pleased to announce that our fighter Helena Kolesnyk (4-0-0) has a bout vs. Iony Razafiarison (2-1-1) set for Superior Fighting Championship 17, Germany, on May 20. Alexander Volkov vs. Roy Nelson scheduled for UFC on Fox show on April 15, 2017. Volkov (27-6, 1-0 UFC) made his UFC debut in November 2016 defeating Timothy Johnson by split decision. 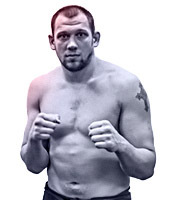 The bout between Nelson (22-13; 9-9 UFC) and Volkov will take place on the undercard for the event in Kansas City, USA. Our training sessions gather speed! TEAM STRELA fighters and our friends are preparing for UFC, ACB, ProFc and other events in March and April 2017. The sky is the limit! ‘I grew up watching his fights’ – Alexander Volkov on fighting Roy Nelson in April. Russia Today Sport. Congrats to our fighter Vladimir Kanunnikov, the winner of Grand Prix Final of ProFC 2017! Great training at Black House before UFC Fight Night on April 15, 2017. Top-ranked Bellator featherweight Iony Razafiarison battles undefeated Helena Kolesnyk on May 20th. Russian fighter from Strela Team Alexander Volkov and Dutchman Stefan Struve will serve as the five-round headliner for UFC Fight Night in Rotterdam. Congrats to Mikhail Zayats on great return! UFC professional shooting crew visited Moscow from 9- 11th August. 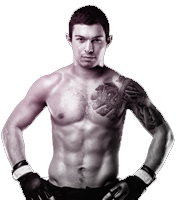 Congrats to Denis Kanakov on ACB68 win! 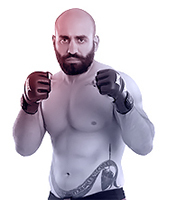 Congrats to Sharaf Davlatmurodov on ACB68 win! 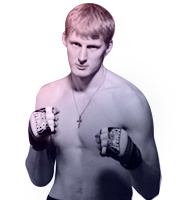 Congrats to Alexander Volkov on UFC-Rotterdam headlining win! Congratulations to Mikhail Kolobegov for his brilliant victory! UFC229 adds heavyweights Alexander Volkov (30-6) vs. Derrick Lewis (20-5)! A heavyweight bout will take place on October 6, 2018, at T-Mobile Arena in Las Vegas. Training before UFC 229 at BLACK HOUSE MMA. Vladimir Daineko, Congrats with the WIN!